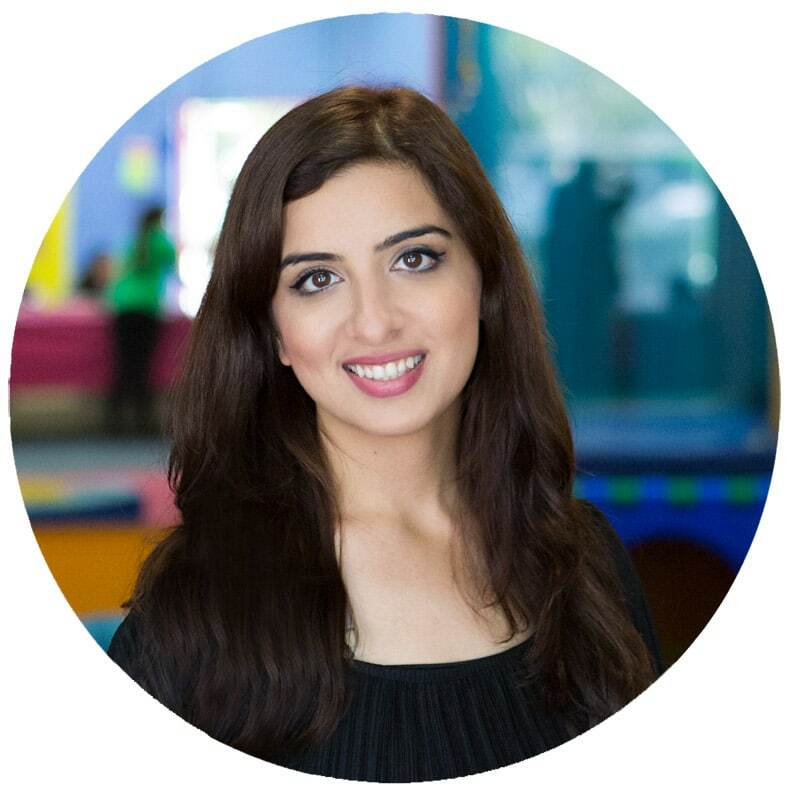 You are here: Home / Parenting / 11+ School Lunch Ideas Tips, Tricks and Hacks! Please note that this post was sponsored by Kraft. All thoughts and opinions expressed are my own. I went from being a mom who dreaded packing school lunches for my kids to being a mom who actually enjoys putting these together. 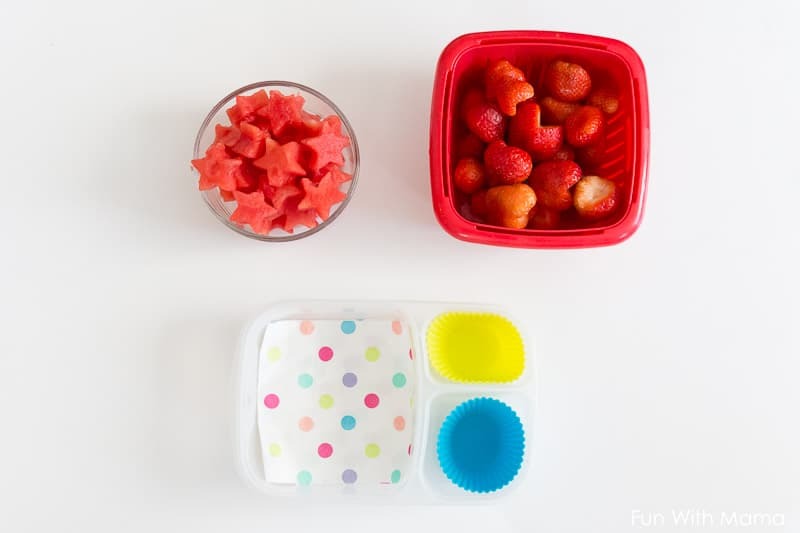 These School Lunch Ideas tips, tricks and hacks help make packing school lunch boxes easier, faster and more efficient. 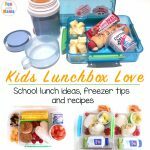 With at least 20 school lunches being packed for each child each month and mom’s already busy schedules, we need to find ways to make school lunch prep simpler. My main goal is to pack a lunch that my children will actually eat. I don’t want my kids stomach’s to be growling in class or them to be irritable because they are starving. I try to incorporate healthy items as best as I can. This does not mean that I never include treats. There should be a variety of choices within their lunchbox. This helps extend their taste palette. My rule is if I pack the lunch, they have to at least try everything that is in there. It should be visually appealing. It should take the least possible time for me to prep while still meeting our needs above. 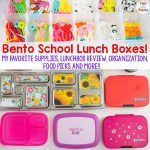 School Lunch Ideas and Tips! 1. Make a snack list. Sit down with your child and make a list of snacks that your child likes to eat. You can ask what their friends are eating at school. 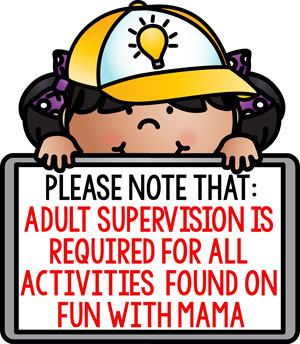 Then take this list and put it on the fridge for easy morning reference. 2. Spend time and thought on your grocery list. Your grocery list is probably the most important place to start. 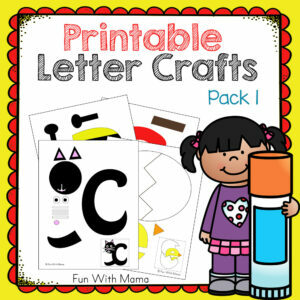 Write out items that suit the business of your week ahead, the season you are currently in and your child’s taste buds. If your mornings are busy, like mine are, add a few easy quick to grab snacks too. 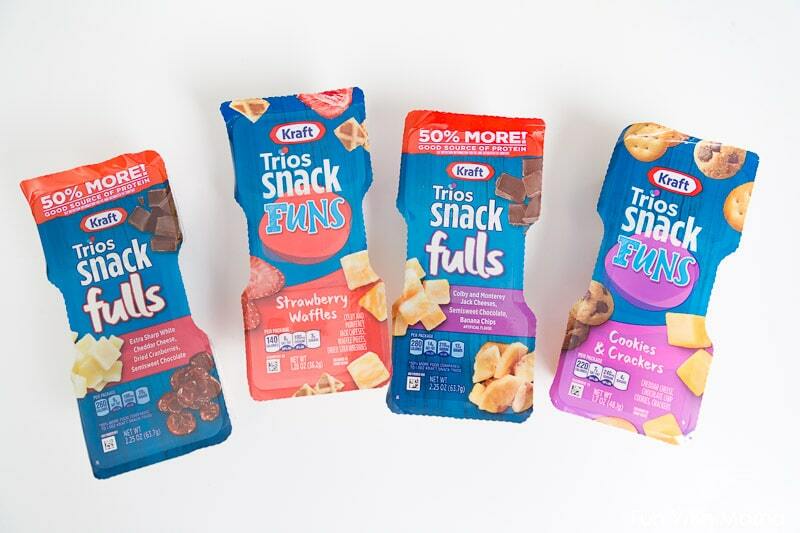 I LOVE the Kraft Trios Snackfulls and SnackFUNS packs. 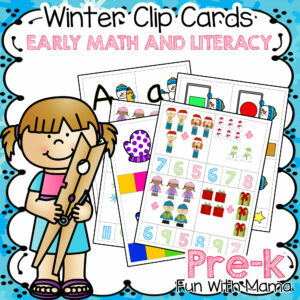 They come in a variety of flavor mixes and they are PERFECT for snack time at school. They have a great flavor, are a wonderful source of protein and have no artificial flavor or preservatives. Pack 1- Easy sharp white cheddar cheese, dried cranberries and semisweet chocolate. Pack 2- Colby and Monterey Jack cheese, semisweet chocolate and banana chips. 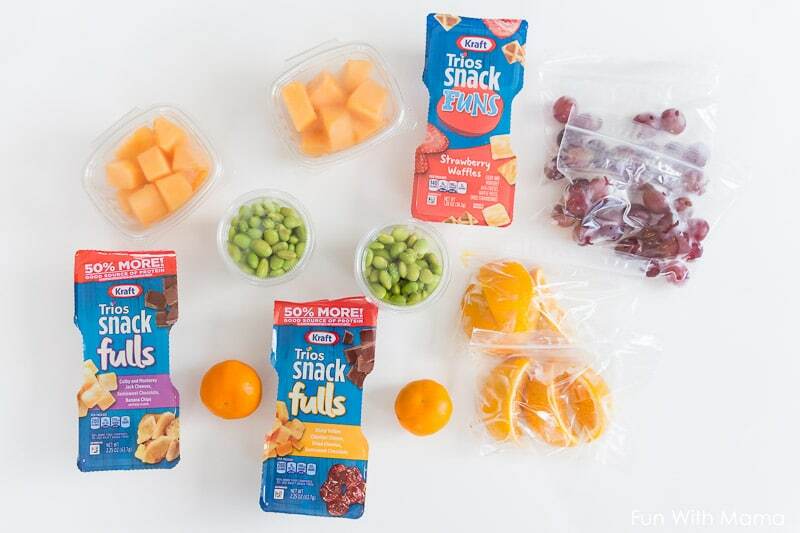 SnackFUNS are inspired by family favorite treats, while Snackfulls gives your child a blend of energy and a kick of indulgence. SnackFUNS includes flavors like Strawberry Waffles and Cookies & Crackers. Trust me, add these delicious snacks to your grocery list this week! 3. Do school lunch prep at the beginning of the week. That means cut and wash all of your fruit and vegetables on one day of the week. You can do this on Sunday morning or on Monday morning. Take it to the next level by packing them into individual sized servings. For example, measure out half a cup of grapes and add it to your chosen container. 4. 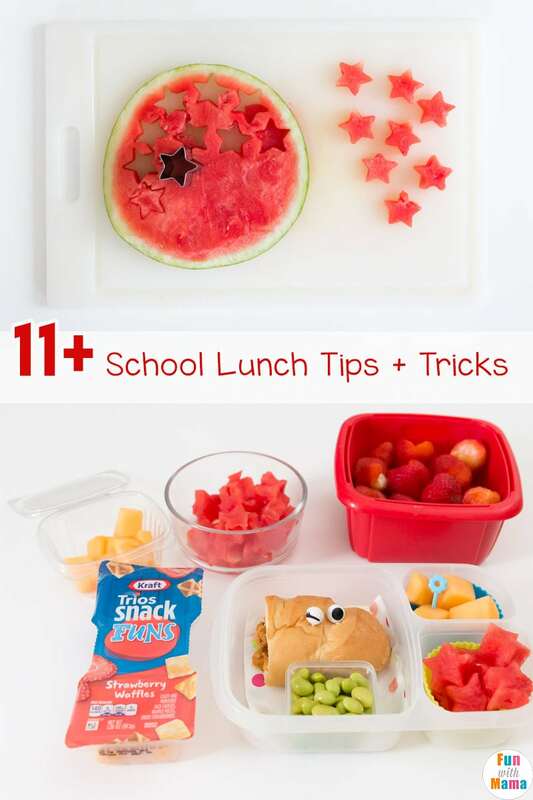 Cut fruit up in shapes – To add something unusual and let your child know that their school lunch includes mom’s magical touch… cut your fruit into shapes. 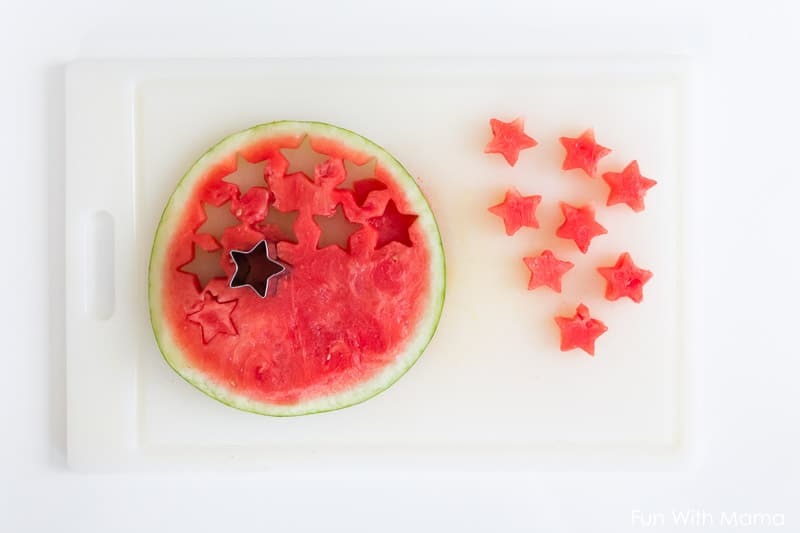 Here I cut my watermelon into 1-2 inch slices and then I used my star cutter. 5. Rotate your fruit and vegetable options each week. I choose 2 -3 fruits in my school lunch grocery list per week. Since fruit can only last a week at a time I change up my fruit offerings each week. That means that if watermelon is on the menu on Monday, it will likely show up 1 or 2 more times in that week’s lunchbox. That also means, next week.. there won’t be any watermelon in their lunch. 6. Pack whatever you can the night before (if that’s when you have most energy). I don’t do this but plan to give it a try to ease my morning load. My mornings are really busy and I definitely have more time and energy right after dinner. This is a good time to pack items into your lunches that will hold well until morning, like fruit. Then place your lunches into the refrigerator. 7. Color Pops – Psychologically, looking at bright bold colors gives you a naturally happy feeling from within. That’s the kinda thing I’m looking for when my children are at school. I want them to get an inner flutter of happiness. 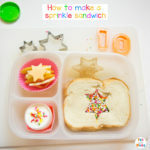 To add some color to your lunchbox add a small decorative napkin and silicone cupcake liners. 8. Add food picks to your lunch. Trust me, this is probably the simplest thing you can do that takes your lunches to the next level. It literally takes 2 seconds to add in a food pick. Watch and see how it transforms an ordinary lunch to something extraordinary. 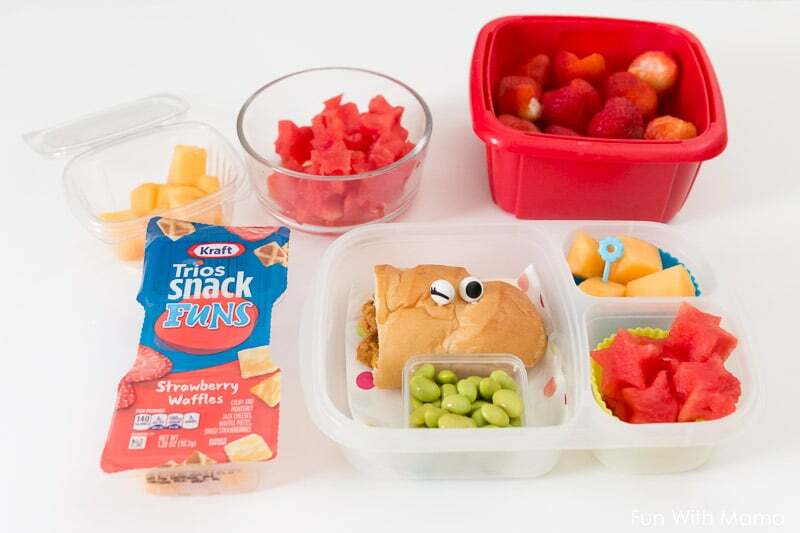 These adorable googly eyes make every lunch super cute. They are so versatile. The flower pick in the fruit keeps my daughters hands from getting too sticky. 9. Need a break from lunch prep? 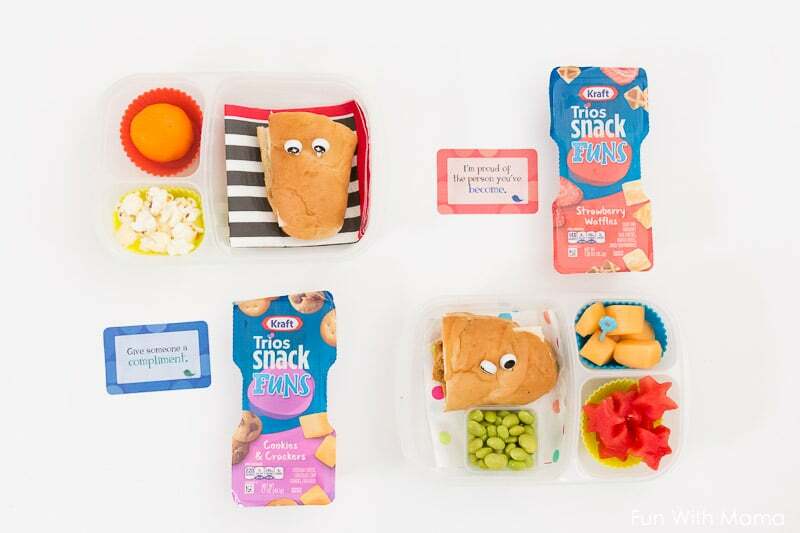 Make a “pack your own lunch” night where children can prep their lunches the night before. Make it seem exciting like, “I can’t wait to see what YOU come up with! 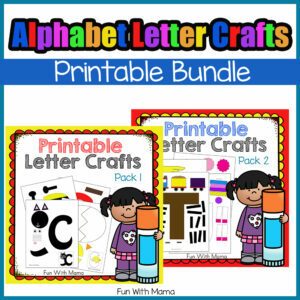 !” Besides giving mom a much needed break, this is great for encouraging independence and responsibility. 10. 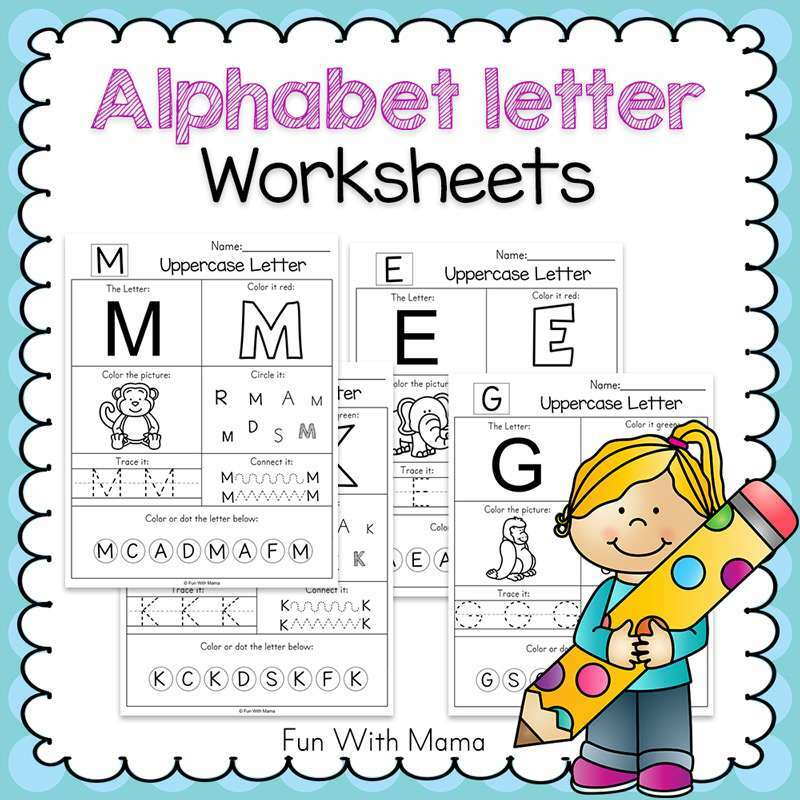 Add a lunchbox note. 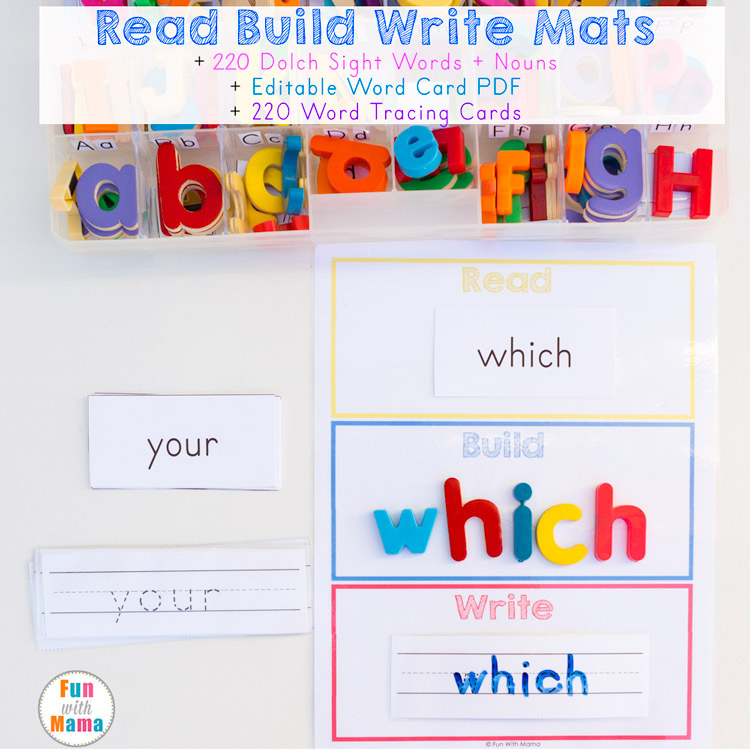 You can either handwrite one, use the free printable lunchbox notes I have here or get these lunchbox love notes that you see pictured above. You could also use the would you rather question cards too. 11. 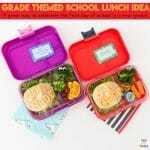 Use a variety of lunch boxes. 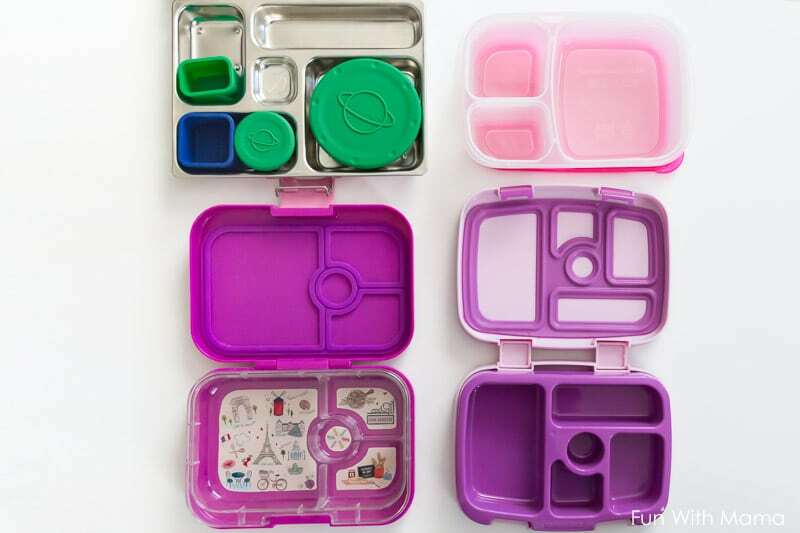 Changing up the containers you use is exciting for your kids and inspiring for mom. The magic of the school lunch is in the small details. The ease of the lunch is by working smarter, not harder! I hope these 11 tips were helpful to you. 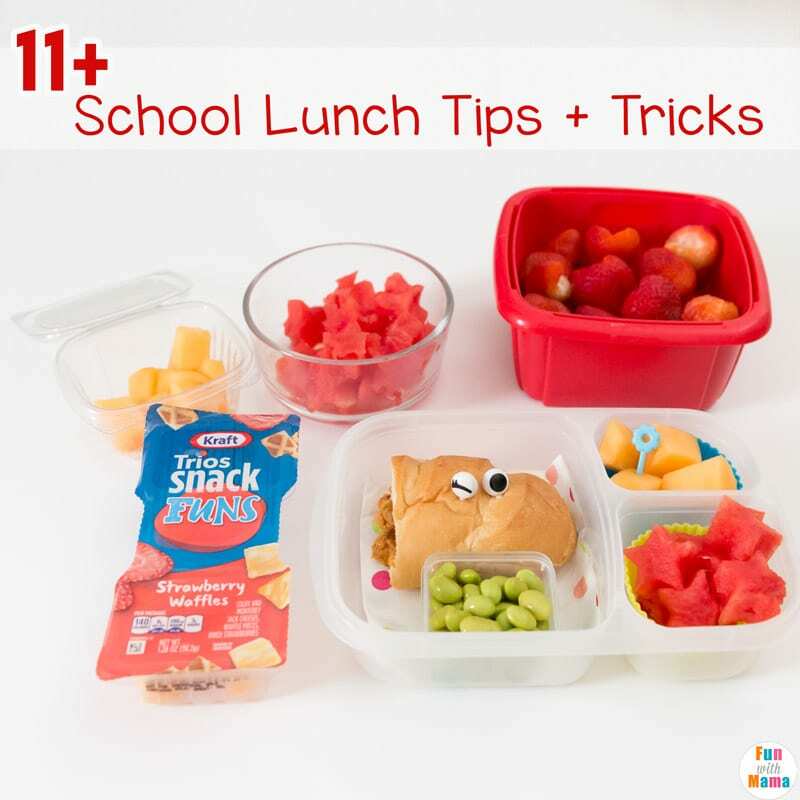 Do you have any fun school lunch tips, tricks and hacks to add?